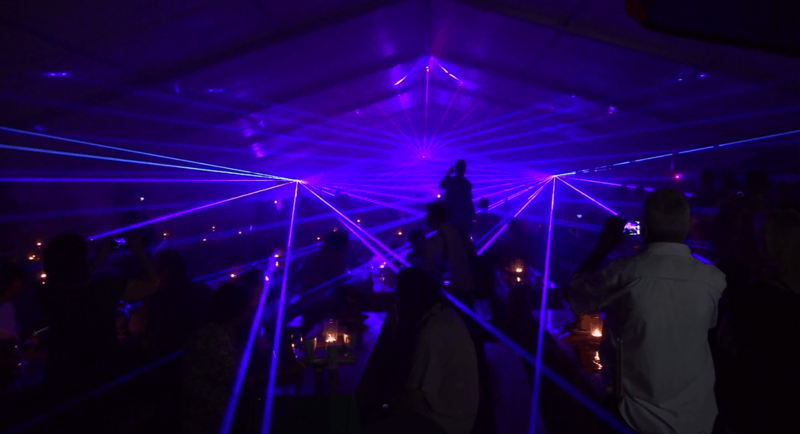 If you are looking for a special highlight for your marriage or your company jubilee, you don’t have to spend a lot of money. 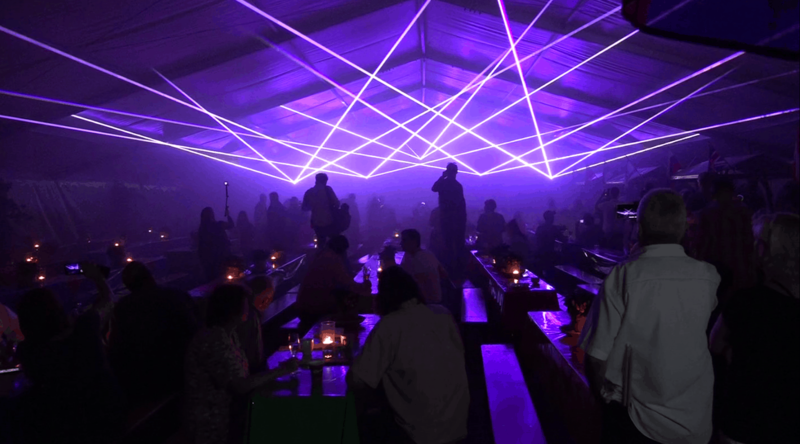 For small and mid-size companies or marriages Bocatec also realizes very effective lasershows within the lower price segment. 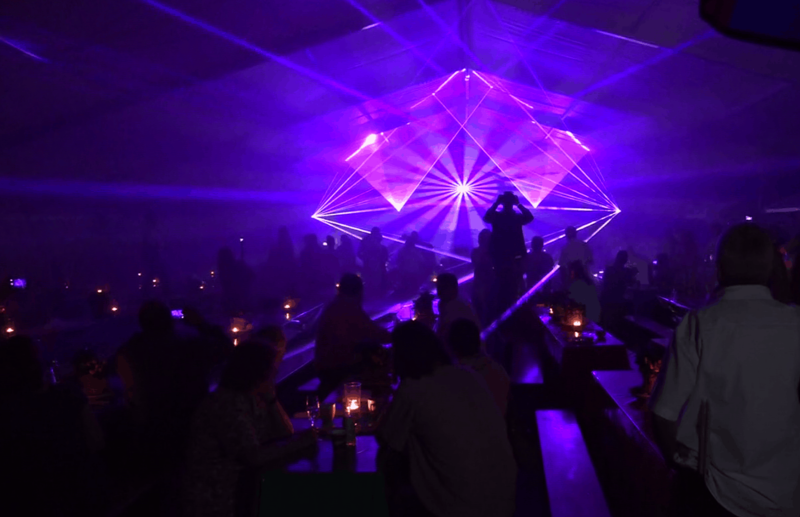 In Hamburg a classic Bocatec lasershow, particularly famous for marriages, thrilled the guests in a 70, long tent. 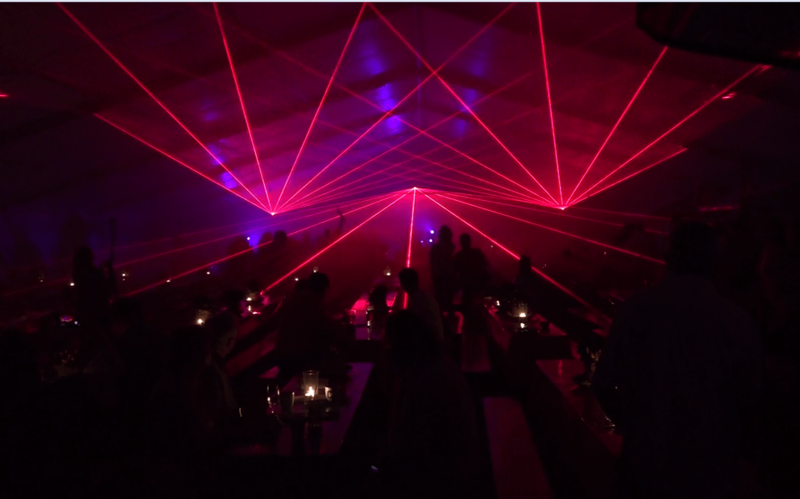 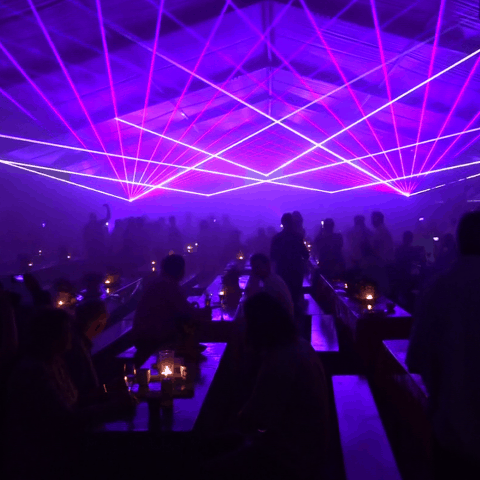 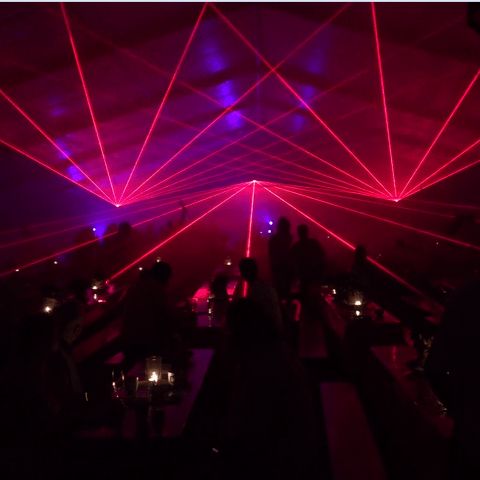 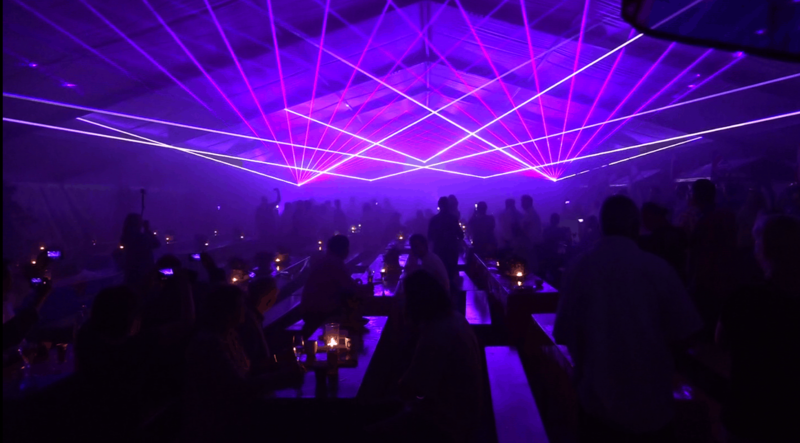 In collaboration with „Die Gestalter – Brinkmann GmbH & Co. KG“ the laser show was tailored to the event. 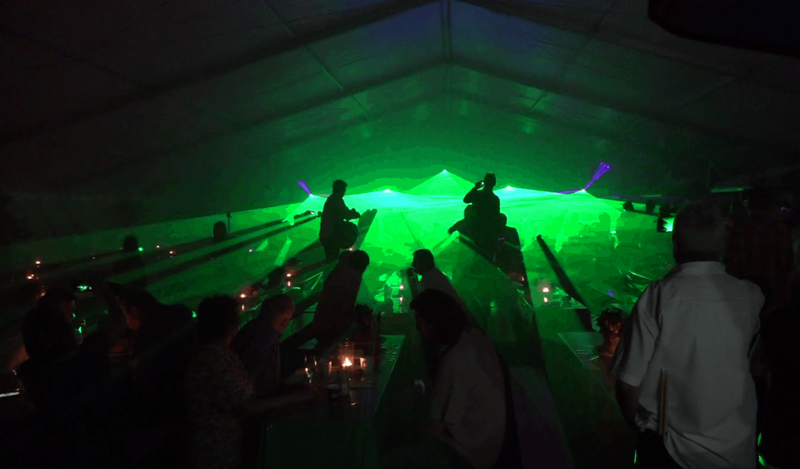 The event expert Brinkmann delivered furniture, tent, decoration, plats as well as light and sound technics for the big evening. 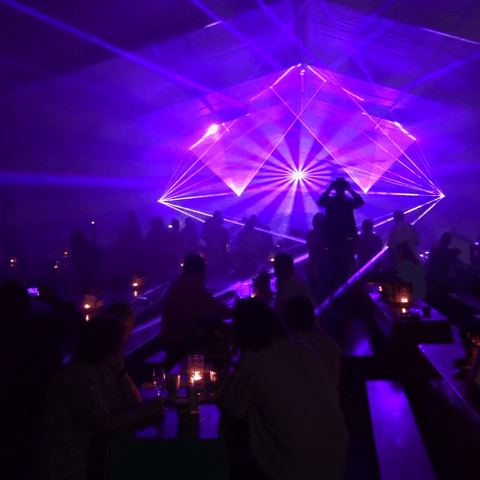 He engaged Bocatec for the desired, unique lasershow. 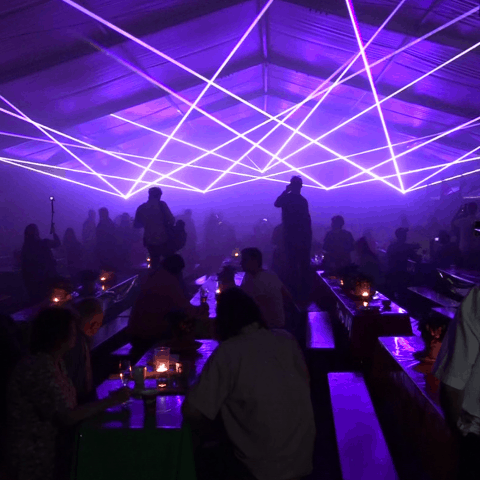 The Bocatec team built up the five RGB laser projectors and fog machines in a flash. 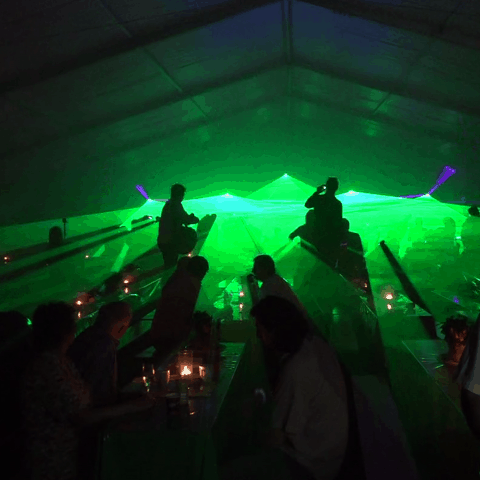 As quick and easy the build-up and teardown is made, so surprising was then the lasershow effect on the evening. 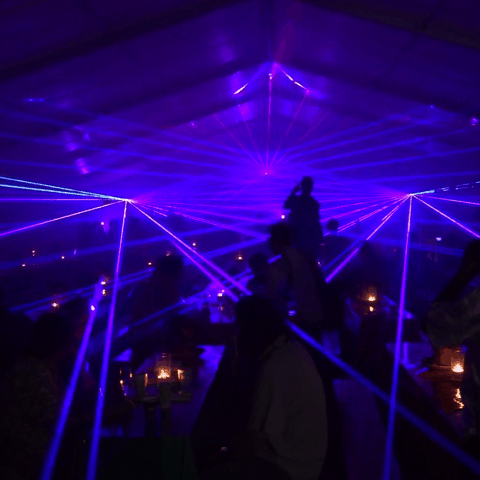 The laser beams broke against the whole tent and put the guests into the right mood with the suiting emotional music.